This episode’s story is “COCONUT” by Marianne Villanueva, narrated by fiction writer Maryanne Moll. The story appeared in Marianne’s collection of stories “The Lost Language”, published by Anvil (2009). 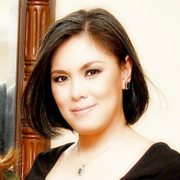 Special thanks to Ms Karina Bolasco of Anvil Publishing for helping me contact Ms Villanueva. Click on link to listen to the preview. Here's the full narration, plus a chat with Maryanne Moll! 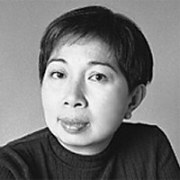 ABOUT THE AUTHOR Marianne Villanueva is the author of the story collections Ginseng and Other Tales From Manila, Mayor of the Roses, and The Lost Language. Born and raised in the Philippines, she now lives in the San Francisco Bay Area. Her novella, Genalyn, is forthcoming this year through Vagabondage Press. Marianne also blogs at http://anthropologist.wordpress.com/. ABOUT THE READER Maryanne Moll was formerly a bank clerk, fast food chain manager, radio DJ, and school instructor before settling down to write essays and fiction pieces. She has won a Palanca for her short story, "At Merienda," and has done freelance writing and editing for several publications. She is finishing her MA in UP, and is at work on her first collection of short stories. Great story and great reading! Ms Moll's feeling that "At Merienda" is the only story she's destined to write reminded me of Harper Lee writing all the things she wanted to write in "To Kill a Mockingbird" (I don't remember if she said this or someone said it about her). This makes me curious to read "At Merienda" which text I found online just now.